Watch the very interesting discussion with Anderson Cooper, Frank Gaffney, and Ambassador Akbar Ahmed on sharia, the absurdity of it taking over America, and the controversy at the Mosque construction in Murfreesboro. AC 360 video is here. Akbar Ahmed, professor of Islamic Studies at American University’s School of International Service. He traveled with a team to some 100 mosques in America. 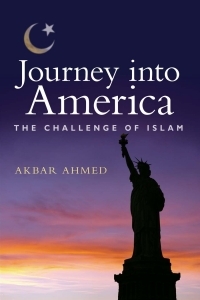 The result is chronicled in his new book, “Journey Into America: The Challenge of Islam.” You can read an excerpt. You can join the conversation. Tell us what you think — here on this page, on Twitter, or on Facebook. From tie-dyed hippies to hard-line radicals, they’re not all the same — and they’re not what you think. The ninth anniversary of 9/11 is almost upon us, and the relationship between Muslims and non-Muslims in the United States is as fraught as ever. Witness Florida pastor Terry Jones, whose planned “International Burn a Koran Day” held the nation shocked and riveted for weeks until he finally agreed to cancel the event. In this environment of heightened intolerance, people focus on symbols, and no symbol is more representative of Islam than the mosque. But most outsiders have no idea what actually goes on inside mosques. Some have let their imaginations — and their mouths — run wild in depicting these places of worship as nurseries of homegrown terrorist plots against America, as the recent controversy over the proposed Islamic center near Ground Zero in New York revealed. But the conversation about mosques doesn’t need to be so ugly. Long before the latest controversies erupted, I, along with a team of young American researchers, traveled throughout the country studying U.S. mosques for the book Journey into America: The Challenge of Islam. From fall 2008 until fall 2009 we visited over 75 cities and over 100 of the estimated 1,200 mosques in the United States, some of which are little more than a room or two. And we were reminded that Muslims in America are as diverse as Americans overall. There is no one pattern that can describe them all, and any generalities fail to cover the whole picture. From CNN.com, an article by Akbar Ahmed on the planned ‘Burn a Quran Day’ urging Pastor Terry Jones to not to go ahead with his plans. An interfaith group added their names in support of the statement including the Episcopal bishop of Washington, the Right Rev. John Chane; Senior Rabbi Bruce Lustig of the Washington Hebrew Congregation; Imam Mohamed Magid, executive director of the ADAMS Center in Northern Virginia; Pastor Dr. Robert Norris of Palm Beach, Florida’s, Royal Poinciana Chapel and member of the Presbytery of Tropical Florida; the Rev. Carol Flett of the Washington National Cathedral, the Rev. Dr. Clark Lobenstine of the Interfaith Conference of Metropolitan Washington; Sister Maureen Fiedler, Sister of Loretto and host of Interfaith Voices, and too many others to name. In less than a month, Pastor Terry Jones of the Dove World Outreach Center in Florida plans to host “Burn a Quran Day” to mark the ninth anniversary of the 9/11 attacks.The pastor, author of the book “Islam is of the Devil,” is using the burning to urge American Christians to “stand up” to what he describes as a monolithic Muslim threat. A Facebook page for the event has accrued thousands of “likes” and Jones has said people have been mailing him Qurans to burn. As a Muslim scholar, an adherent of one of the Abrahamic faiths — Judaism, Christianity and Islam — and as someone committed to interfaith understanding, I urge Jones to cancel this event. Not only are the actions of Jones contrary to the life and teachings of Jesus Christ, but they are also against the ideals of the American Founding Fathers. An In-Depth Look at Mosques in America from CNN American Morning on Monday the 9th of August. Also, a special opinion article by Akbar Ahmed “Make New York Mosque an Interfaith Center”. The United States must resolve what I call the Great American Conundrum by clarifying its policy toward Muslims. It cannot treat its Muslim citizens as second-class citizens at home and hope to win them over abroad.American Muslims complain of their second-class status by pointing out that their religion and houses of worship can be attacked with near impunity. When they do object, they are told that this kind of abuse is a small price to pay for living in a free society. Yet it is blatantly clear that only Islam is being attacked in such a crass fashion. It is virtually unimaginable to hear of any other ethnic or religious group being so targeted without an uproar. Read the entire article. Watch Ambassador Akbar Ahmed on the Daily Show with John Stewart discuss Journey into America: The Challenge of Islam. 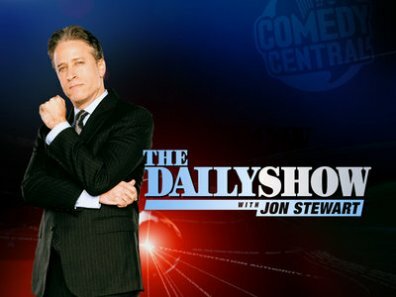 Don’t miss The Daily Show with John Stewart tonight, as John Stewart interviews Ambassador Akbar Ahmed about Journey into America: The Challenge of Islam. Ahmed and the Journey into America team visited over 100 mosques in over 75 cities, from small towns like Arab, Alabama, to cities with large Muslim populations such as Detroit, Michigan. There is a lot to talk about so make your Tivo’s and DVR’s are set. It will air on Thursday August 5 at 11:00 pm (ET). You can also watch Ahmed’s appearance last month at Politics and Prose Bookstore. It was recorded and will be broadcast on C-SPAN 2’s Book TV on Saturday, August 7 at 11pm (ET) and Sunday, August 8 at 6pm (ET). Both hardcover and Kindle editions are available from Amazon or at your favorite local bookstore.